The Islamic State [IS] has made its first incursion into Lebanon with the group attacking a border town, while the Iraqi government says they will give Kurds air support for the first time, as they are in danger of being overrun by IS in northern Iraq. Later on Tuesday, the army and militants agreed to a 24-hour truce in Arsal. However, the ceasefire collapsed as clashes erupted once again, Reuters reported citing security officials. 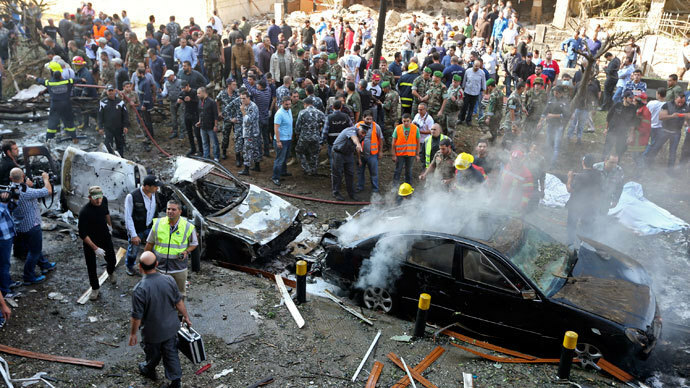 Beirut said they had found the bodies of 50 militants, while a cleric in the village said at least 50 civilians were dead. Five Lebanese Sunni clerics were injured on Tuesday, as they arrived in Arsal to try and mediate with the Islamic State militants. They were seeking the release of government forces, detained by the militants, but were wounded when their convoy came under fire. "The clerics are now in a hospital in Arsal, their convoy came under fire from an area that is controlled by the army," Mustafa al-Hujairi, a leading Sunni cleric in Arsal, told Reuters. The Prime Minister of Lebanon, Tammam Salam, who is a Sunni Muslim said there could be no political deal with the Islamic State. "The only solution proposed today is the withdrawal of the militants from Arsal and its environs," he said. The army has described the Islamic States incursion into Lebanon as an attack, which had been planned for a long time, as they look to take advantage of sectarian divisions between Sunni and Shiite Muslims in the country. Lebanon has long been trying to secure the east of the country to stem the flow of militants from Syria into the country, with the rebels saying that dozens of fighters from Syria's Qalamoun area just across the border had moved to Arsal on Sunday to reinforce gunmen there. They also said that Syrian warplanes had repeatedly bombed nearby mountains along the border, which is used by the Islamic State, to access the village of Arsal. Arsal is a mainly Sunni town located on the Lebanese side of the border between Syrian government-controlled territory and Lebanese Shiite areas sympathetic to Hezbollah. 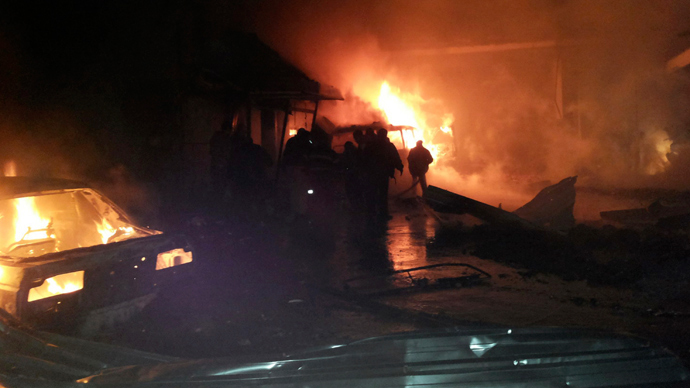 Fighting also broke out in Lebanon’s second city, Tripoli. The city has seen frequent fighting between local Sunni Muslims and members of the Shiite-derived Alawite minority. Six security forces were injured after Sunni militants opened fire on a bus, which was carrying Lebanese soldiers. Meanwhile in Iraq, the country’s Prime Minister, Nuri al-Maliki, ordered his air force to protect Kurdish forces for the first time from the threat posed by Islamic State militants. On Sunday, the group (previously known as ISIS) inflicted a humiliating defeat on the Kurds with a rapid advance through three towns to reach the Mosul Dam, acquiring a fifth oil field to fund its operations. They also battled to control the Haditha Dam, in western Iraq. The dams are of vital strategic importance in Iraq. Water is a valuable commodity, while the dams also produce electricity, which could be sold. Conversely, IS would have the potential to destroy the dams, which would lead to widespread flooding across the country, including the capital, Baghdad. "Everything under it (Mosul Dam) will be under five to 10 meters of water... including Baghdad itself," said Ali Khedery, head of the Dubai-based consultancy Dragoman Partners and a longtime adviser to the US military, government and companies in Iraq. "It would be catastrophic." There have been deep divisions between the Kurds and Baghdad, with al-Maliki accusing the Kurds, who have long dreamed of independence, of giving refuge to militant fighters and in July the Kurdish political bloc ended all cooperation with Iraq’s national government in protest against this accusation. 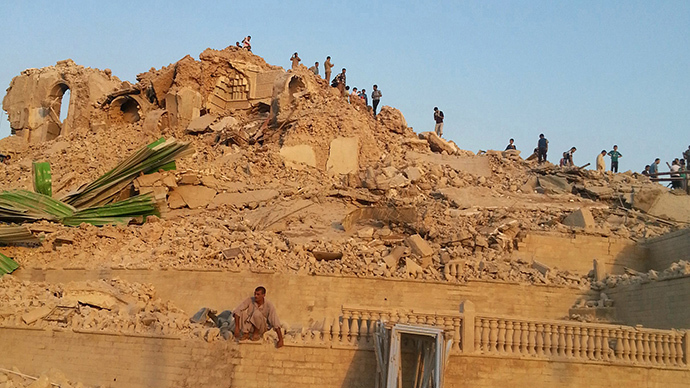 The Islamic State already controls large areas in the northeast of the country, including the city of Mosul. "The general commander of the armed forces has ordered the air force command to provide backup for the Kurdish Peshmerga forces against the terrorist gangs of the Islamic State," state television quoted al-Maliki's military spokesman Qassim Atta as saying. Kurdish forces say they have already managed to push the militants away from Iraq’s biggest dam, which they had seized, but this information cannot be independently confirmed, Reuters reports. Kurdish forces say they were surprised by the speed and strength of the militant forces. A commander, who asked not to be named, said the Islamic State took everyone by surprise and had deployed snipers in addition to heavier weapons and that, in many cases, the Kurds had simply run out of ammunition. "We can no longer carry on fighting with just Kalashnikov rifles," he said. Another senior Kurdish official said the Kurds had been overstretched because they had to watch over a vast territory. "The Islamic State has also beenintimidating peopleby carrying out beheadings," he said, asking not to be identified. 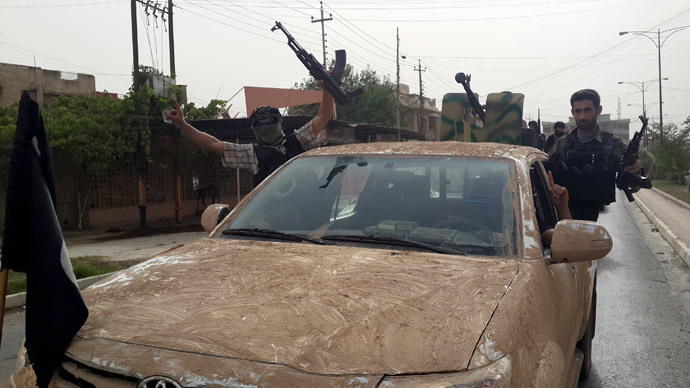 After thousands of Iraqi soldiers fled their initial advance in June, the group, then known as ISIS, seized tanks, armored personnel carriers, anti-aircraft guns, mortars, artillery and vehicles. "It is a very dangerous situation for the region. Something needs to be done soon," the senior Kurdish official said. Nevertheless, the Kurds remain confident that they can turn the tide back in their favor against the Sunni militant group. One colonel said the Kurdish withdrawal was tactical, and forecast that several Kurdish brigades would take back all territory lost on Sunday and even win back Mosul, Iraq's biggest northern city, which is now firmly in the hands of the Islamic State. "We will attack them until they are completely destroyed. We will never show any mercy," he told Reuters. "We have given them enough chances and we will even take Mosul back. I believe within the next 48-72 hours it will be over."